Ex. Shih Tzu, Toy Poodle, Yorkie, Miniature Schnauzer, Chihuahua, etc. Ex. Cocker Spaniel, Corgi, Beagle, Lhasa Apso, Miniature Bull Terrier, etc. For the health and safety of all our patients, vaccinations must be current. 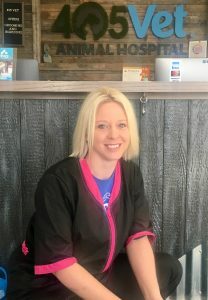 405 Vet requires a flu vaccination for all dogs being groomed. Krystal is our professional pet stylist. 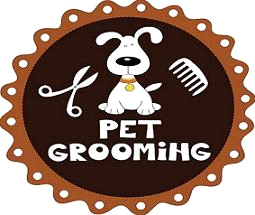 to make your pet look his/her best. Krystal enjoys riding horses, traveling, and spending time with her family.